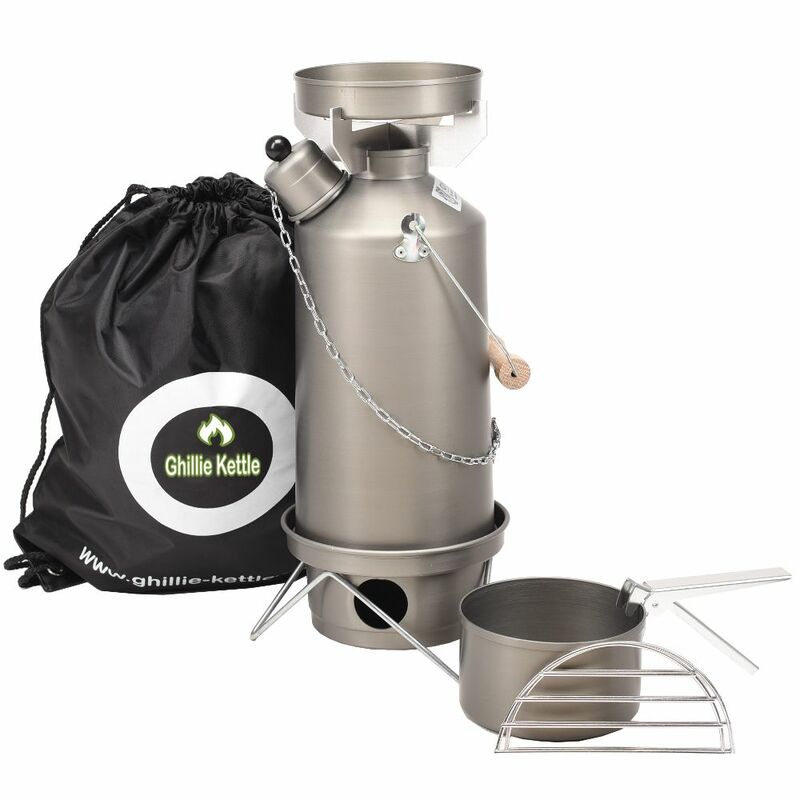 It also has a smooth non-stick, non-reactive surface and is quicker to boil, heat food and clean. 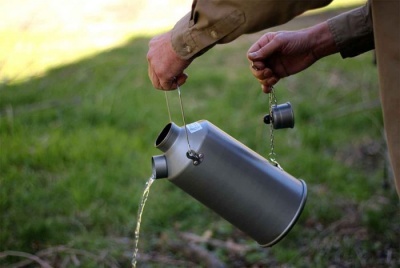 The kettle is guaranteed for 10 years, subject to normal wear and tear. 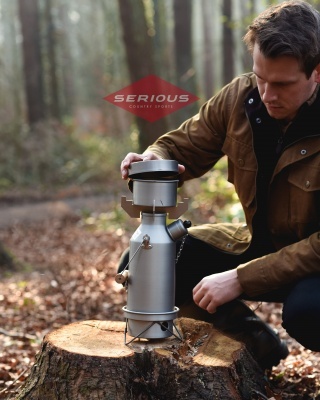 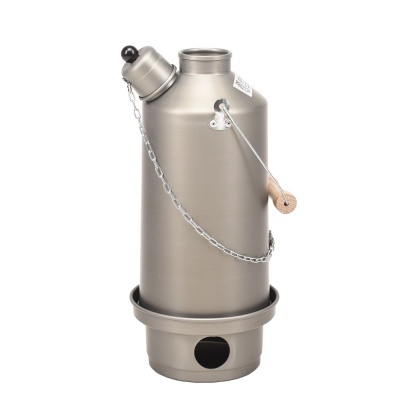 This unique and high quality storm kettle heats water by burning twigs, fir cones, dry leaves and any other naturally occurring solid fuel. 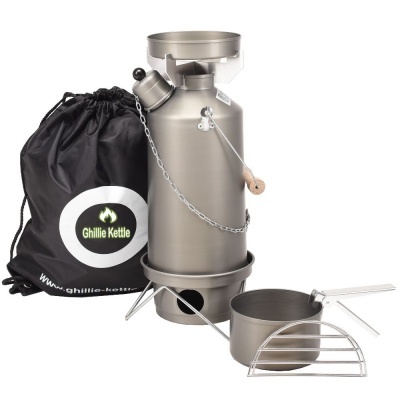 All of our Anodised Kettles use the Hard Anodisation process, and the Ghillie Kettle company are proud to say that this is the most durable kettle to date.